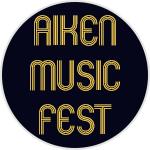 Aiken Music Fest is a 6 event music series on Saturday nights from 7-11pm, with a $10 per car load entry fee, located at Highfields in Aiken, SC. Dates for this year’s Aiken Music Fest is below. Artists will be announced soon!